Is it Possible that Most Local Churches are the Creation of Man and not Christ? Gal 4:28-29 Now you, brothers, like Isaac, are children of promise. (29) But just as at that time he who was born according to the flesh persecuted him who was born according to the Spirit, so also it is now. Why is there so much evil in local churches? Bickering and grudge holding. Sexual immorality. Domestic abuse. And on and on the list goes. Now, you might respond to this question with something like, “well that is how the churches were in the New Testament. There is always going to be sin in churches. No church is perfect.” And at least in regard to the earthly, visible local church these things are true. But I suggest to you that today we are seeing evil in churches more and more commonly. A departure from the truth of Scripture. A false gospel. A false Jesus. False sheep. And very few professing Christians who seem to be at all concerned about it. 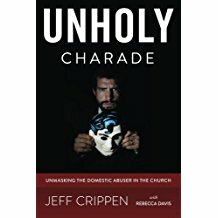 A pastor can be found out to be a serial adulterer/fornicator or an embezzler of church funds, and after he receives perhaps some initial consequences for his misdeeds ( or “poor choices” as the language seems to go nowadays), very soon people begin to talk about “restoring” him. And very often, there he will be, the pastor of a church once again. Everyone pats themselves on the back and prides themselves in the depths of their grace and forgiveness. The large majority of the readers of this blog do not need to be told that a false gospel, gutted of a call to genuine faith and repentance, is the wolf’s great ally. This “gospel,” which the Apostle Paul says is no gospel at all (Galatians 1), only produces nominal Christians, meaning that they are Christian in name only. Survivor after survivor of domestic, sexual, or spiritual abuse will tell their stories of how their abuser hid in the pews, playing the role of “Christian” and enjoying the affirmation of his fellow church members. Where a false gospel is preached, false Christians are produced, and an environment that is ripe for the practice of evil is cultivated. Sadly, we must admit that such a false gospel is widely preached in our churches today, as it has been for decades now. 2Co 11:3-4 But I am afraid that as the serpent deceived Eve by his cunning, your thoughts will be led astray from a sincere and pure devotion to Christ. (4) For if someone comes and proclaims another Jesus than the one we proclaimed, or if you receive a different spirit from the one you received, or if you accept a different gospel from the one you accepted, you put up with it readily enough….2Co 11:14 And no wonder, for even Satan disguises himself as an angel of light. And now we are being told that if we don’t believe these reports then we are denying the ways that Christ works today, that we are refusing to help abuse victims, and worse. But this is not Christ. Nope. It is not, and I will tell you why.